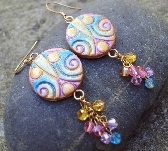 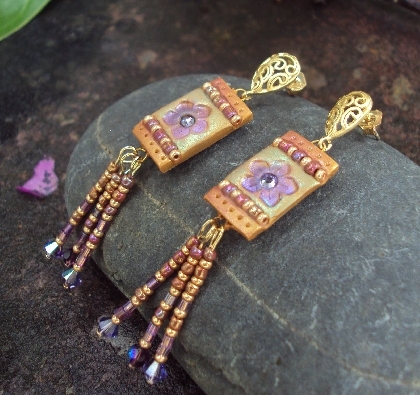 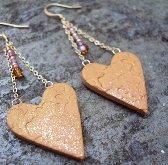 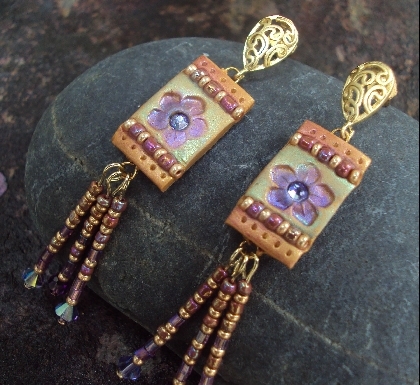 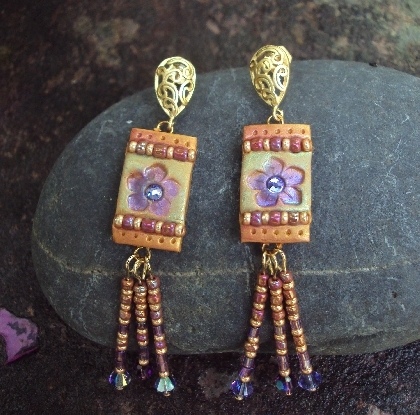 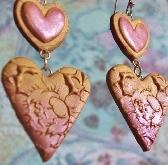 I just adore the colors in these earrings! 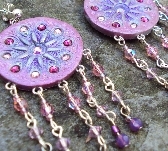 They are so beautiful and sparkle and dance with such delight! 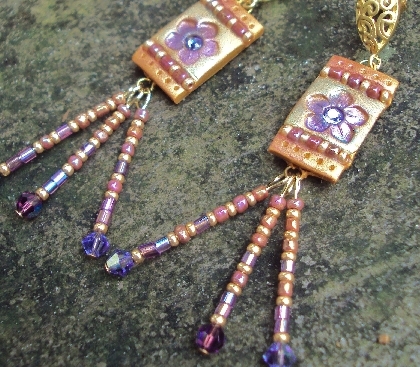 glass seed and Czech double cut bugle beads and dangle from 14k gold plated ear-wires. 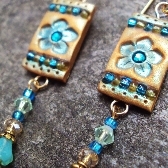 All jewelry items come in a lovely gift box.